W HOTEL BRAND WILL TAKE OVER A TOWER AT SLS: Starwood Resorts Worldwide has a deal with SLS to open its first W-branded hotel in Las Vegas. The lodging giant will take over the Lux tower, and will convert 289 rooms into the W Las Vegas expected to open by September. SLS ended its association with Hilton Worldwide Holdings Inc. and will become part of Starwood’s Tribute Portfolio that places independently-owned hotels into the company’s global distribution system. 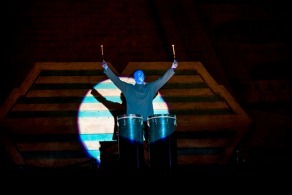 BLUE MAN GROUP MAKES GRAND RETURN TO LUXOR: Blue Man Group recently revealed its newly renovated theater inside the Luxor while making an inspiring arrival beginning with a drum solo by a Blue Man atop the theater. Next a pair of blue performers repelled down the interior of the pyramid before landing in front of the new theater where the trio shot off massive amounts of streamers before revealing the façade of the group’s new home. Beginning Nov. 18, The newly renovated Blue Man Theater has been custom designed for the ideal Blue Man Group experience with audiences closer to the action than ever before. TERRY FATOR PRESENTS HOLIDAY-THEMED SHOW AT THE MIRAGE: It’s that time of year for the “Terry Fator: The VOICE of Entertainment Presents A Very Terry Christmas” show to take place at The Mirage. The holiday program is an annual tradition in the style of the great family television specials of the past mixed with Las Vegas flavor running Nov. 30-Dec. 24 at 7:30 p.m. Tickets start at $59.99. 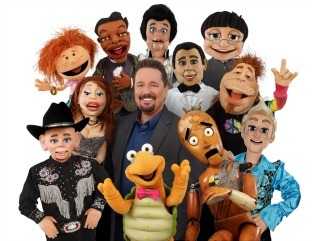 Fator and his cast of lovable characters including such notables as Winston the Impersonating Turtle, Vikki “The Cougar,” and country legend Walter T. Airdale will celebrate with comedy, singing, celebrity impersonations and ventriloquism. The audience will even learn about “Juana,” a new holiday guaranteed to create laughs. Going early to the show, audiences are energized by pre-show opener Ben Harris. At age 42, Fator became a household name in 2007 when he won Season 2 of “America’s Got Talent.” His headlining show has been running at The Mirage since 2009. 29TH DOWNTOWN HOEDOWN KICKS OFF NATIONAL FINALS RODEO: The 29th Annual Downtown Hoedown at Fremont Street Experience will take place Wednesday, Dec. 2 beginning at 4:30 p.m. with top country music talents performing free concerts. 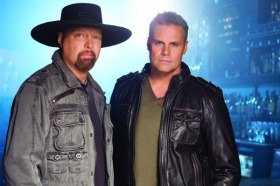 This year’s lineup will feature Montgomery Gentry, Tracy Lawrence, Chris Janson, Chase Bryant, JT Hodges and Jackson Michelson on Fremont Street Experience’s three stages. Spectators can arrive early for a NASCAR Fanfest event featuring the top 16 drivers from The Chase on-site from 2–4 p.m. at the 3rd Street Stage. RODNEY CARRINGTON RETURNS TO MGM GRAND: As part of his Here Comes The Truth tour, comedian, actor and writer Rodney Carrington will return to the David Copperfield Theater at MGM Grand Dec. 3–12 with 10 p.m. comedy shows during the National Finals Rodeo. Tickets start at $59.99. THE MIRAGE HAS NIGHTLY ENTERTAINMENT DURING NFR: During the 10-day Wrangler National Finals Rodeo competition, Dec. 3-12, The Mirage will celebrate by providing complimentary live entertainment nightly, beverage specials and more. For the 12th consecutive year The Mirage will be home to “Rodeo Vegas,” the Official NFR After-Party of the PRCA. The free concert lineup includes: Rodney Atkins Dec. 3; Casey Donahew Band & Kevin Fowler Dec.4; Casey Donahew Band & Roger Creager Dec. 5; Dallas Smith Dec 6; Glen Templeton Dec. 7-8; A Thousand Horses Dec. 9; The Cadillac Three Dec. 10; Easton Corbin Dec. 11; and Joe Nichols Dec.12. Also there will be a chance nightly to meet, mix and mingle with all of the Team Mirage cowboys competing including “Rodeo Vegas” founder and nine-time NFR Steer Wrestling qualifier K.C. Jones; two-time Saddle Bronc Riding World Champion Taos Muncy; and 11-time NFR Steer Wrestling qualifier Trevor Knowles, to name a few. The headliner during NFR will be Ron White as part of the resort’s Aces of Comedy Series. Best known as the cigar-smoking, scotch-drinking funnyman from the “Blue Collar Comedy Tour,” Ron White will perform in the Terry Fator Theatre Dec. 4–5 and Dec. 11–12. Tickets start at $59.99. SAM RIDDLE HEADLINES ALIANTE’S ACCESS SHOWROOM: Sam Riddle, a Montana native, started as a lounge singer, and then climbed his way to the top of the country music entertainment. He’ll headline in the Access Showroom at Aliante on Fridays, Dec. 4 and 11 at 9 p.m. Cover charge is $5. SOUTH POINT FEATURES FREE SHOWS DURING NATIONAL FINALS RODEO: The National Finals Rodeo entertainment lineup at the South Point showroom includes: up-and-coming country star Sierra Black on Dec. 2 at 10:30 p.m.; Aaron Watson Dec. 3-6 at midnight; Curtis Grimes Dec. 7 and 8 at midnight; and Cody Johnson Dec. 9-11 at midnight and Dec. 12 at 11 p.m. All these shows are free. GLITTERING LIGHTS SPARKLE AT LAS VEGAS MOTOR SPEEDWAY: Nevada’s largest holiday drive-thru light show, Glittering Lights at the Las Vegas Motor Speedway is celebrating 15 years of holiday tradition in southern Nevada. 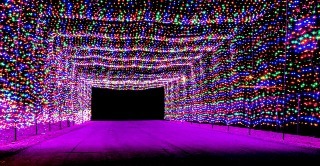 Glittering Lights features more than three million lights along a 2.5-mile course that intertwines throughout the speedway and runs nightly until Jan. 3, 2016, Monday through Thursday 5:30-9 p.m. and until 10 p.m., Friday, Sunday and holidays. There are 500 animated displays with LED lights. Entry is $20 per vehicle. 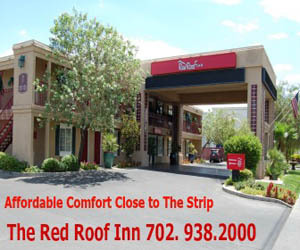 If you bring a donation of goods for Goodwill of Southern Nevada, you receive an instant $2 entry discount. The first 15,000 vehicles receive a gift bag. GOLDEN NUGGET CONCLUDES 52 FRIDAYS CONCERT SERIES: Top-notch entertainment is continuing every Friday at the Golden Nugget as part of the 52 Fridays Concert Series. Remaining headliners include: Eric Burdon and The Animals Nov. 20; Jefferson Starship Nov. 27; and Edgar Winter Dec. 18. Tickets start at $19. 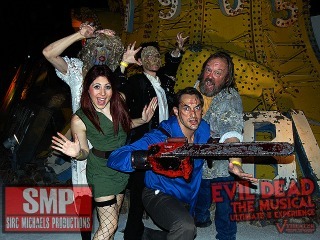 ‘EVIL DEAD THE MUSICAL’ WILL MOVE TO THE TOMMY WIND THEATER: “Evil Dead The Musical” that opened at the V Theater at Planet Hollywood on Friday, June 22, 2012, will have its final weekend late night performance there on Saturday, Nov. 28. That night the cast will spray its final 20 gallons of blood over the audience, slay its final deadites on that stage, and take a final bow. Starting Tuesday, Dec. 1, the wicked little show will open at The Tommy Wind Theater on the Strip with prime time performances Tuesday through Saturday at 7:30 p.m. This show that is a mashup of pop culture commentary, horror film celebration and musical theatre is historical because it was developed at the local level and making its way to the famed boulevard. MORMON FORT HOLDS HOLIDAY MARKET: The Holiday Market/Dutch Oven Demonstration will be held at the Old Las Vegas Mormon Fort on Saturday, Nov. 21 from 9 a.m. to 2 p.m. The holiday market inside the visitor center will feature handmade gift items, including authentic Native American beaded jewelry, artisan metalwork by Jennifer Gilbert, pottery by Gerald Pinto, ornaments, Zuni carvings, Navajo rugs and much more. The Las Vegas Fiddlers will be providing live music for this event and park staff will be providing a Dutch oven cooking demonstration outside. Admission is $1 for ages 13 and over. 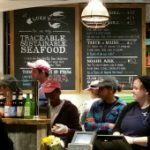 LUKE’S LOBSTER SERVING SUSTAINABLE SEAFOOD AT FASHION SHOW: Luke’s Lobster is a new 300-square-foot circular outdoor seafood shack located Stripside at the Fashion Show mall opening daily at 11 a.m. with strictly al fresco seating. The menu is simple with top-quality sustainable ingredients featuring lobster, crab and shrimp rolls, side soups, pickle, chips and beverages. This is the company’s first location west of the Mississippi. 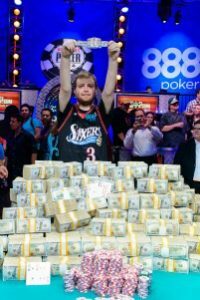 WORLD SERIES OF POKER® MAIN EVENT WINNER EARNED $7.683 MILLION: Philadelphia’s Joe McKeehen, 24, became poker’s world champion capturing his first World Series of Poker (WSOP) gold bracelet and the top prize of $7,683,346 in gaming’s richest and prestigious event held at the Rio. The 2015 WSOP attracted a record 103,512 players from 111 countries competing in 68 events, generating a total prize pool of more than $210 million. VEGAS INDOOR SKYDIVING OFFERS SPECIAL HOLIDAY FLIGHT PACKAGES: In the spirit of the holiday season, Vegas Indoor Skydiving, Nevada’s first and only indoor skydiving facility that was built in 1982, is featuring “Fly-Days” through Friday, Dec. 25. For $60, the Holiday Fly-Day Package valued at $115 includes a single flight inside the attraction’s 22-foot tall tunnel, a flight DVD to relive the flight experience, and a t-shirt. Purchase can be made at 1-877-LUV-2-FLY and in person using the promo code “FLYDAY.” If purchased on Black Friday, Nov. 27 or Cyber Monday, Nov. 30, guests receive an additional $10 off. Blackout dates apply and packages are available for redemption after 4 p.m. on Wednesday, Dec. 23 through Sunday, Jan. 3 and all business hours beginning Monday, Jan. 4, 2016. CUPKATES AT TIVOLI VILLAGE LAUNCHES NEW AFTERNOON TEA: The success of Cupkates bake shop’s princess tea parties has prompted the launch of an adult version afternoon tea. The parties by reservation only Monday-Friday are meant for up to eight ladies with service to fit any theme or occasion at Cupkates original location inside Tivoli Village. Teas feature tailor-made tablescape, high-end tea selections, and homemade warm sugar biscuits, tea sandwiches, and signature cupcakes that made the bakery a Las Vegas staple. Cost is $38.95 per person. Cupkates is family-owned and run by a local brother and sister team. 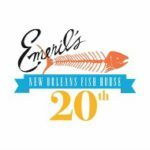 EMERIL’S AT MGM GRAND CELEBRATES 20TH ANNIVERSARY: Emeril’s New Orleans Fish House will commemorate the 20th anniversary of its opening at the MGM Grand with menu specials, surprise treats, and more this month and beyond. On Friday, Nov. 20, all diners share a complimentary champagne toast and taste of the classic banana cream pie. From Nov. 16-22, the restaurant will offer a special “Essential Emeril” anniversary menu, highlighting some of the restaurant’s most beloved dishes throughout the years for $70 with wine pairings additional. Several of the anniversary menu items will be available a la carte Nov. 16-Dec. 13. ENTERTAINERS LIP SYNC AT SLS TO BENEFIT NOAH’S ANIMAL HOUSE: Emmy Award winning producer Andy Walmsley is producing “Drop the Mic – The Las Vegas Entertainment Industry Lip Sync Throw-down” in The Sayers Club at SLS on Tuesday, Nov. 17 to benefit Shade Tree’s Noah’s Animal House. The event will kick off with a pre-show party at 10:30 p.m. and the 70-minute Drop the Mic lip syncing competition featuring 12 Las Vegas headliners and entertainers beginning at 11:30 p.m. There will also be an after-party through 2 a.m. The event is free to the public, 21 and over. 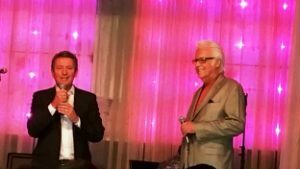 The evening’s celebrity host will be comedy-magician Mike Hammer, the headliner at the Four Queens. DJZB, Chris Phillips, well known as the lead singer of successful cover band Zowie Bowie will be making his DJ’ing debut. The Nick Foote dance troupe will back the celebrity Syncers. HENDERSON SEEKS WINTERFEST EVENING LIGHT PARADE ENTRIES: The City of Henderson is inviting residents, community partners, organizations and businesses to enter the WinterFest Evening Light Parade, scheduled for 5 p.m. on Saturday, Dec. 12. Each entry must be decked out in lights and reflect the theme of “Christmas Stories.” Registration through Nov. 20 starts at $25 per entry. Cash prices for first through third place will be $1,000, $750 and $500. The parade is a part of the city’s annual Christmas celebration. WinterFest will run Dec. 10-12 and feature visits with Santa Claus, the Christmas tree lighting, children’s activities and holiday entertainment at the Henderson Events Plaza. NOTABLE ITEMS: In support of American Cancer Society’s “Great American Smokeout” on Thursday, Nov. 19, smokers who throw away a pack of cigarettes in the “Commit to Quit” container, located outside the BODIES…The Exhibition’s box office at the Luxor, will receive $7 off admission to the exhibit. Inside, guests are invited to touch a real smoker’s lung damaged by toxins and tar. 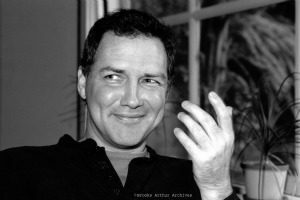 “Saturday Night Live” comedy veteran Norm Macdonald will appear at the South Point Nov. 20-22 at 7:30 p.m. He’s known for his iconic roles on ABC’s “Roseanne” and “The Drew Carey Show” and NBC’s “NewsRadio.” Tickets start at $35. Veronica and Andrea Bocelli will unveil the sculpture of Andrea Bocelli, “Omaggio a Andrea Bocelli” by famed artist “Marble Man” Gualtiero Vanelli at the Brunch with the Bocellis fundraiser on Sunday, Dec. 6 from 11 a.m. to 2 p.m. at the Cleveland Clinic Lou Ruvo Center for Brain Health downtown. The life-size sculpture is made from marble from the same quarry as Michelangelo’s David. There will be Bocelli Family Vineyard wines, cocktails and cuisine by celebrity chefs. Donations are $500 and $1,000. AFAN’s annual Holiday Toy Drive collecting toys for local children affected by HIV/AIDS runs Nov. 16 through Dec. 11 with donations of new, unwrapped toys being dropped off at the AFAN office. The toy drive culminates in a holiday party to benefit the children of families that access AFAN services throughout the year. For information, visit afanlv.org or call 702-383-8095. Ferraro’s Italian Restaurant and Wine Bar will host their next monthly wine tasting event, “Taste & Learn,” on Nov. 21 from 4 to 6 p.m. and highlight wines from the Pia Cesare Winery. These monthly wine-and-food pairing events feature tasting pours of four wines, each accompanied by an authentic Italian small plate. Cost is $65, call 702-364-5300. Tacos & Tequila (T&T) inside the Luxor will celebrate Wrangler National Finals Rodeo with a Rodeo Fries, beer and shot special from Dec. 3-12. On Dec. 5, 1933, the United States of America ended Prohibition. More than 80 years later, Carson Kitchen downtown celebrates the end of the sober era with its signature Bee’s Knees cocktail for $12 on Repeal Day, Saturday, Dec. 5. A tale of love, joy and hope adapted to the stage from a children’s book by Carla Masterson “The Dream Puppy” will be performed by Life Long Dreams, a local performance and visual arts nonprofit that helps people with disabilities learn to express themselves and their dreams through arts. The show will be Nov. 21 at 2 p.m. at Sam’s Town Live. Tickets are $20 to $50. The LV Craft Show with more than 50 vendors and raffles will be held in the Veil Pavilion at the Silverton on Saturday, Nov. 28 from 10 a.m.-6 p.m. Admission is free. 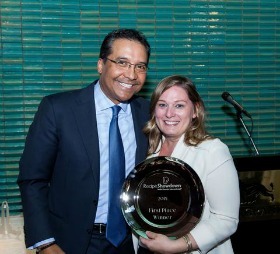 MGM RESORTS RECIPE SHOWDOWN SELECTS WINNER FROM SEATTLE: Lori Brennan, Leadership Development coordinator for Amazon, took first place in the second MGM Resorts Recipe Showdown in Las Vegas with her family’s Seattle Salmon Bowl. Brennan earned her way to the finals after winning Seattle’s Showdown, one of 16 regional cooking competitions held across the country and Canada between June and September. For her winning efforts, she received an all-expense-paid trip to the South Beach Wine & Food Festival in Miami next February. SMASH MAGAZINE PRESENTS THE BLESSTHEFALL AT HARD ROCK: Smash Magazine presents Blessthefall on the Las Vegas stop of their 2015 U.S. Headline tour. The all-ages, “To Those Left Behind Tour” hits Las Vegas on Nov. 19 for one show at Vinyl at the Hard Rock.